Born in the wind of Cold War. When it was created OSCE brunt the mark of the Cold War institution his main role being in a world of competition between communist and a capitalist system , Western and Eastern military alliance ( NATO and Warsaw treaty )to maintain a fragile unite on a broken continent tarnished by the Iron Curtin . In this tense climate OSCE prove his utility, in a climate never as reminding a warm war as in the beginning of the 80`s OSCE was the last fragile place where an eastern bloc entered in Afghanistan adventure and a Western alliance decided to launch the Reagan star wars seemed condemned to collide in a nuclear war. OSCE and the West – East dialogue. Session like in Vienna in November 1986 remained part of the Cold War history and many historians appreciate that , without the vital line of communication, understanding and discussion , launched by the OSCE session of the time, the lack of dialogue would have had unimaginable consequences. But avoiding a nuclear war and keeping open a line of communication between adversary on European continent was not the only service to humanity that OSCE brought in that time: we must not forget that the issue of human rights in the eastern block was raised within the framework of Helsinki treaty and under the operation of OSCE . The reformers at Prague or at Berlin used in the names of their organizations and there manifests calling for greater human rights liberty within the eastern Block exactly the text of Helsinki and the documents of OSCE . In 1989 when the communist system was collapsing OSCE find herself in a difficult situation. An institution born from the Cold War necessity, build as a structure for dialogue between irrepressible adversaries was now in the search for another role. And OSCE has found this role and new place in the brave new world that communist collapse leave it behind. 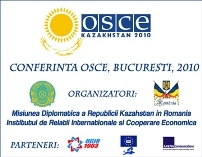 OSCE became in a moment that European Economic Community was only building herself and the political European structure was only a plan , and where Warsaw Treaty has dissolved himself and NATO was only an impossible and in some cases a distant dream from becoming a large strategic structure of security OSCE remained the only European forum that took the charge of protecting human rights agenda, fostering cooperation between former enemies, offering democracy building services, offering election monitoring and creating the climate in a Central and Eastern Europe that was engulf one more time in nationalistic movement for dialogue and detente and also providing a window of opportunity for discussion and cooperation with the West. If it is to summarize the OSCE agenda of the beginning of the 90`s we will see that instead of dissolving herself as someone has suggested the OSCE took an active and full of initiative role in making anew Europe. The dialogue with Russia, the dialogue with Baltic countries, the long list of peace initiatives in Bosnia and in former Yugoslavia, the OSCE democracy building team, the OSCE role in promoting peace and disengagement all are still vivid in our memory. OSCE: an un glorious end ? Unfortunately after the mid90`s the relevance of the organizations started gradually to decrease. The role of promoting military and strategic security on the continent was now gradually overtaken by the NATO alliance, the gradually expansion toward East of NATO in 1999, 2004 and in 2009 expansion waves was perceived by many of the people of the continent as enough to insure their future security while in the East some opinions where that this expansion will only increase tensions. Also after 2001 the global concept of security and strategic alliances shifted when the so called war on terror was launched, this meant an emphasize on Afghanistan, then on Iraq , a general focus on the Middle east all objectives that OSCE was neither familiar to or neither politically inclined to tackle. The expansion of European Union , much less controversial that NATO expansion was also seen as a substitute to working within OSCE frame work for better economic cooperation and it seemed for the most optimistic of the observer that some time the European Union will become the leading actor in European cooperation. OSCE remained all this time an important actor but it seemed lass enthusiastic about, less important than it once was. OSCE is creating a North South dialogue. Even in this time of perceived shrinking relevance OSCE did not subside in offering new directions for international politics and diplomacy, one example being the construction of the framework of cooperation with partner countries. This OSCE partnership in strengthening democracy, civil society role and in prevent conflicts and creating opportunities for security and cooperation became not only an efficient way of giving OSCE an opportunity to cooperate with other geographical areas but also became an example for another inclusive cooperation framework . From Japan to South Korea to Australia ( the newest member) the partnership framework prove his utility in sensitive areas like: politic and military dimension ( arms control, border management, antiterrorist activities , conflict prevention, military reform , policing and implementation of international accords ) to economic and environmental action to human dimension ( raging from combating human trafficking , democratization ,education, elections monitoring, human rights minority rights and media freedom . Acting in all this important fields it was bound to happen that OSCE received some criticism but looking at long historical perspective we cannot emphasize enough the positive role of OSCE. OSCE a political philosophy of : possible . 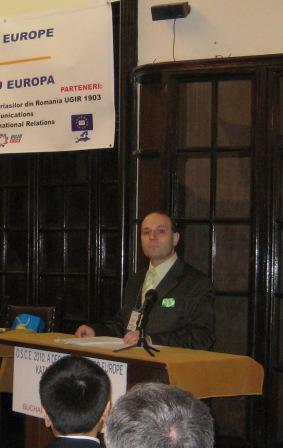 In fact many of the accusation addressed to OSCE of not being strong or efficient enough are just a result of a philosophical fundamental decision of OSCE of creating a balanced environment, or not making the human rights as a symbol for internal affairs interfering, monitoring elections process with scrutiny but not accepting to use this a way of creating pressures to a country. This important philosophical concept of OSCE based on the Helsinki Accord and Paris Charta of respecting the sovereignty and non interfering in internal affairs of member states . Today when concepts like early warning, conflict prevention by armed intervention, some crisis management practice and post-conflict rehabilitation strategy are severely debated or criticized the OSCE experience and philosophy could offer a solution for actions with reasonability, this is not weakness this is reasonable action. In the last years OSCE was confronted with new provocations : the long war in Afghanistan and Iraq , the crisis in the issues related to Palestine , the tensions in Caucasus region , the necessity of building a Mediterranean community , the necessity to offer Russia the legitimate assurances regarding his security the cooperation in Black sea region and even crisis like Kosovo all are requiring a diplomatic response and a conceptual one based on what some foreign policy experts , I include this also myself )called a New Helsinki Accord . In this action OSCE must have an important role. I like to call 2010 a decisive year for Europe, not in the sense that Europe must change his destiny in this year or we must see enormous actions to change our continent but in the idea that in this year we must have to see the beginning of a diplomatic and international debate regarding where we want Europe to had on? This political, cultural and economic debate must start this year and this year must register the beginning of recognizing the need for a change, the need for a philosophical debate, the need for a new framework of action. In this respect I can only salute the President Nazarbaev decision to foster such a debate and to center OSCE in the middle of this reform camp and in the melee for this conceptual renewal of one of Europe most prestigious institution. This beginning is well choosing and defined by the four T: Tradition, Tolerance, Trust, and Transparency announced by President Nazarbaev are exactly in the spirit of OSCE action. An action that is build on Trust- a trust accumulated in more the 3o years of activity, Tradition because we must build not against past as someone want, not destroying the history but rather build on it, Tolerance, because we are increasingly leaving, unfortunately in an intolerant world where the difference is spelled enemy and distrust and Transparency, because in a world that is infested by so called plots and conspiracy the transparency is the only base for trust and for efficient actions. OSCE could not work without acting together and without a new philosophy based on a new summit after 11 years from the last summit the necessity for such a gathering is imposing itself a new: “summit would not only give a powerful impetus to adapting the OSCE to modern challenges and threats, but would also increase the confidence and respect enjoyed by the Organization itself among our peoples”. This appeal by President Nursultan Nazarbaev launched at Vienna Conference is coming with a realistically assessment: we must not let OSCE disappear or being just a forum of no importance: “the OSCE is an organization that cannot be replaced. Its stagnation or disappearance would create a volatile vacuum in the Euro-Atlantic area “appreciate correct president Nazarbaev. 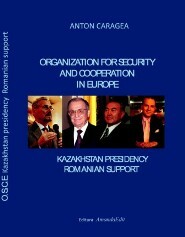 It is to be commended this effort launched by Kazakhstan Chairmanship in obtaining a renewal of OSCE : the idea of expanding OSCE action toward Asia, the impact of intolerance and the necessity of offering to Islamic community a supplementary voice and respectability emphasizing in the present day tensioned climate that Islam is a religion of tolerance and peace. „OSCE could not be replaced”. This ambitious agenda: a new summit, an European debate on the future of OSCE , the building of a security and cooperation common space from Asia to Europe and initiating a really constructive not professorial or preaching North – South dialogue .Also we must not forget that OSCE is having one more time a role in Europe, a concentrated activity on West Balkans , the necessity of dialogue and support for Balkan area and a focus on economic crisis het country as Macedonia or Albania that must enjoy the OSCE economic role or the Eastern area of Europe where tensions and economic problems and security issue where democracy building and democratic state support is still necessary . It is a tremendous provocation that lies ahead of OSCE in 2001 and years to come. Kazakhstan is having the courage to act, the power to try, the decision to put in practice and the strength to require to Europe a lucid analysis to OSCE present situation and a response. 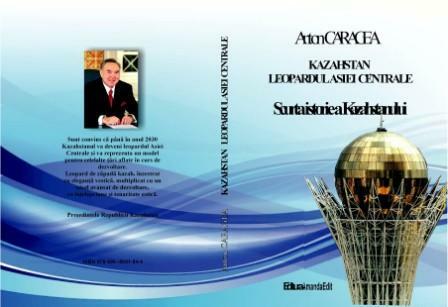 Yes Kazakhstan could have just wait for 365 day to pass and Chairmanship to be awarded to another country and let others launched this debate, but Kazakhstan did not choose the easy way out, no Kazakhstan decided to confront the reality to proposed ambitious goals and for this to make a truly decisive year: 2010 – the year when OSCE start his new page of history.